A federal jury in Arkansas has awarded nearly $72 million to Lion Oil Co. in a coverage dispute over business income losses and expenses arising from the rupture of an interstate crude oil transmission pipeline. The jury found that damage to the pipeline, which is owned by ExxonMobil Pipeline Co. (EMPCo), was the dominant, direct, and efficient cause of Lion Oil’s losses (Lion Oil Co. v. National Union Fire Insurance Co. of Pittsburgh, PA, November 4, 2015; complaint; verdict). Background. Lion Oil Co. owns and operates an oil refinery in El Dorado, Arkansas. The company receives crude oil from a pipeline known as the North Line, which runs from Louisiana to Texas, and is owned and operated by EMPCo. In 2007, an inspection of the North Line revealed anomalies at various locations, and the inspection vendor misidentified one particular defect as a seam weld anomaly that was unlikely to cause a failure. That particular anomaly, however, caused the pipeline to rupture at a point in Louisiana on April 28, 2012. After the rupture, EMPCo shut down the pipeline. 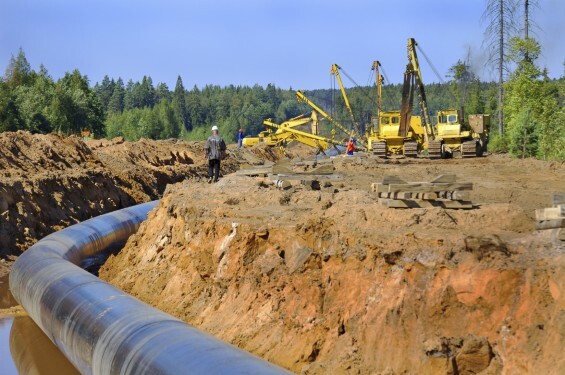 The U.S. Department of Transportation’s Pipeline and Hazardous Materials Safety Administration (PHMSA) subsequently issued a Corrective Action Order (CAO) to EMPCo requiring the pipeline owner to submit a restart plan. EMPCo’s plan included hydrostatic testing and was incorporated into the CAO. The damaged section of the pipeline was replaced by mid-May 2012. Hydrostatic testing began in July 2012 and lasted until September 2012. In October 2012, Lion Oil received permission from PHMSA to restart the pipeline, and Lion Oil began receiving crude oil again in March 2013. Insurance policies. At the time of the rupture, Lion Oil held all-risks insurance policies from several insurers, including National Union Fire Insurance Co. of Pittsburgh, PA. The policies covered “all risk of direct physical loss of or damage to property described herein, except as hereinafter excluded.” They also provided “contingent time element” coverage, which insured against loss resulting from damage to property that wholly or partially prevented a direct supplier from rendering its goods to the insured. Lion Oil submitted a contingent business interruption claim of approximately $44 million and an extra expense claim of approximately $36 million for the losses it sustained during the time its refinery did not receive crude oil from EMPCo’s pipeline. The insurers denied coverage, however, after which Lion Oil filed suit against them seeking a declaration of its entitlement to coverage under the policies and recovery of damages incurred as a result of the insurers’ breach of their contractual obligations. Prior ruling. Before the court, the insurers asserted that the interruption of oil delivery past mid-May 2012 (when the damaged pipeline was replaced) was not caused by “property damage” under the terms of the insurance policies but, rather, resulted from EMPCo’s decision to inspect its pipeline for defects that might cause future events. Lion Oil countered that, but for the rupture, its loss would not have occurred. Thus, according to Lion Oil, its claims for contingent financial losses were causally connected to the property damage that occurred to the pipeline, triggering coverage under the policies. The court previously concluded that it could not grant summary judgment on this issue because a question of fact existed with respect to causation. The court noted that the plain language of the policies did not automatically limit claims for loss to the length of time it would take to repair the damaged property. And, although there was no dispute that physical damage to a supplier’s property had occurred in this case, a dispute existed as to whether the dominant and efficient cause of Lion Oil’s loss was: (1) the rupture of the pipeline; or (2) EMPCo’s decision to hydrostatically test the pipeline following the rupture. Accordingly, the issue was tried and sent to a jury. Jury verdict. The jury was asked whether, after May 27, 2012, damage to EMPCo’s property was the dominant, direct, and efficient cause of any of Lion Oil’s losses or expenses. The jury answered “yes.” The jury also found that, beginning April 28, 2012, the amount of Lion Oil’s net margin or income losses that were dominantly, directly, and efficiency caused by damage to EMPCo’s property was $60,404,000, and that the amount of Lion Oil’s expenses was $11,340,675. The case is No. 1:13-cv-01071 (verdict; complaint). Attorneys: Brian H. Ratcliff (PPGMR Law, PLLC) and Geoffrey J. Greeves (Pillsbury Winthrop Shaw Pittman LLP) for Lion Oil Co. Amy Churan (Robins Kaplan Miller Ciresi LLP) and James M. Simpson (Friday, Eldredge & Clark) for National Union Fire Insurance Co. of Pittsburgh, PA. Amy Churan (Robins Kaplan Miller Ciresi LLP) for Great Lakes Reinsurance UK PLC, Ace American Insurance Co., XL Insurance America, Inc. and Torus Speciality Insurance Co.
Companies: Lion Oil Co.; ExxonMobil Pipeline Co.; National Union Fire Insurance Co. of Pittsburgh, PA; Great Lakes Reinsurance UK PLC; Ace American Insurance Co.; XL Insurance America, Inc.; Torus Speciality Insurance Co.
0 Response to "Jury awards Lion Oil $72M in pipeline rupture case"